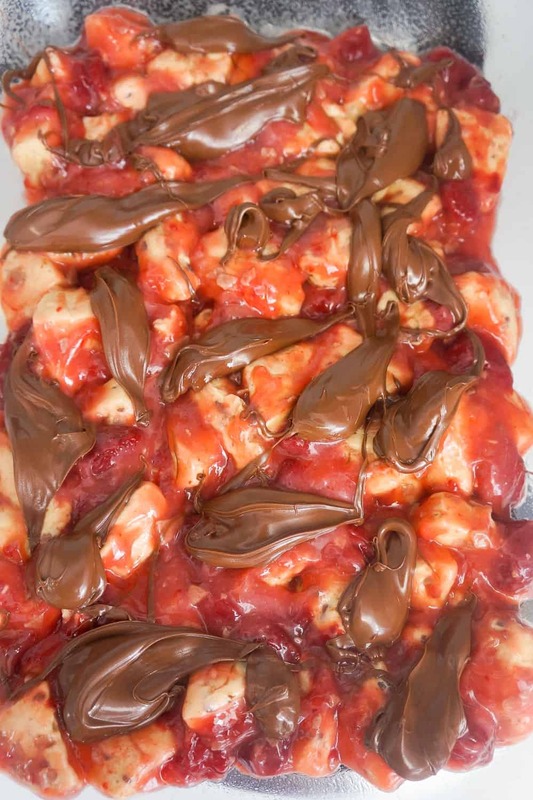 Strawberry Nutella Cinnamon Bun Casserole is an easy breakfast or brunch dish using Pillsbury Cinnamon Rolls. 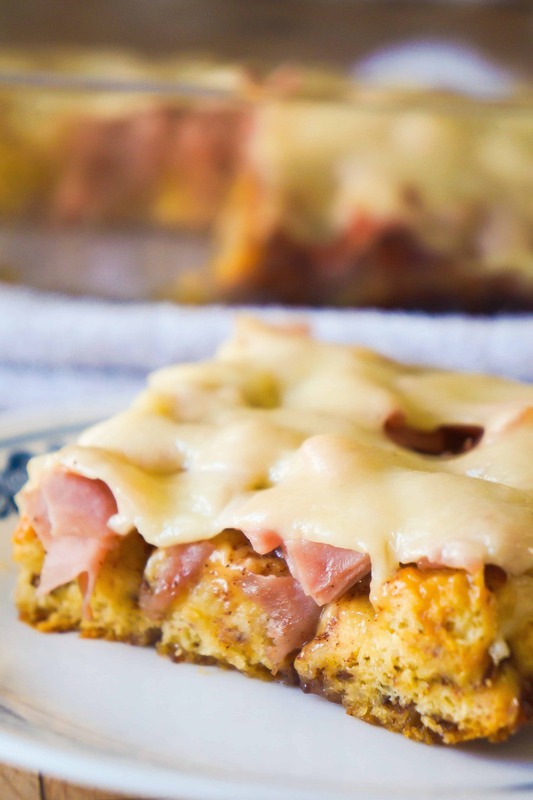 This breakfast casserole loaded with strawberry pie filling and chocolate hazelnut spread is a fun alternative to French toast. 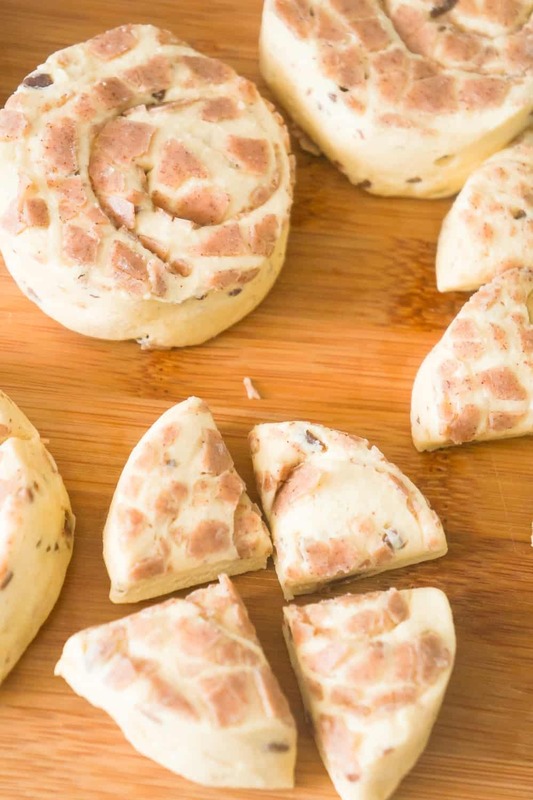 To make this dish I started by opening two cans of Pillsbury Cinnamon Rolls and cutting each cinnamon bun into four pieces. I placed all of the cinnamon bun pieces into a large mixing bowl. Then in a small bowl I used a fork to beat two eggs. I poured the beaten egg over the cinnamon bun pieces and then stirred them up so that all of the pieces of dough were coated in egg. Then I poured a can of strawberry pie filling into the bowl and stirred well again. I poured the mixture into a greased 9 x 13 inch baking dish and spread it out evenly. Then I spooned some Nutella over top, dropping it in large globs. I placed the casserole in the oven and baked it until the cinnamon buns were nicely browned on top. Once the casserole was out of the oven I took the icing that came with the cinnamon buns and melted it in the microwave before pouring it over top of the cinnamon buns. I allowed the cinnamon bun casserole to cool slightly before slicing and I served it with some strawberry syrup. 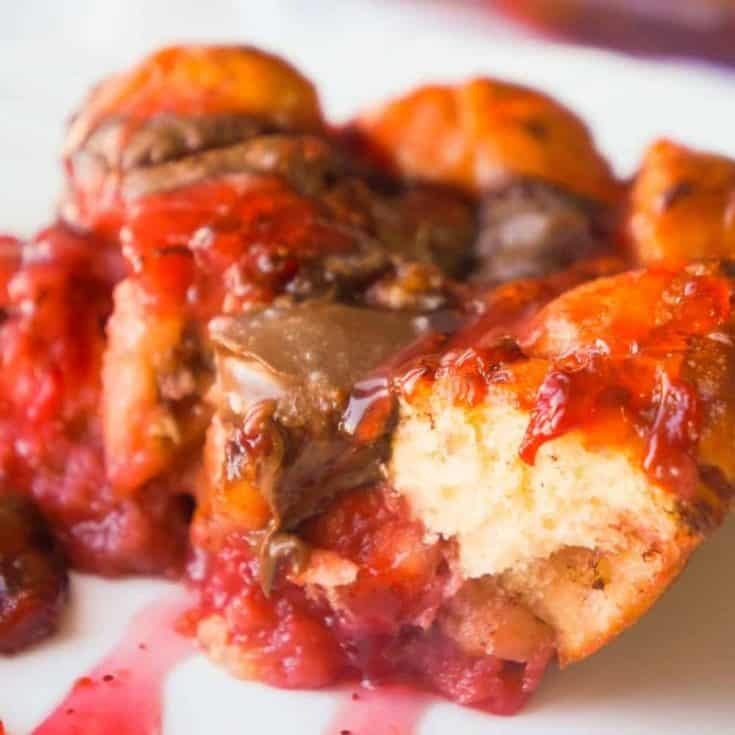 Be sure to try this Strawberry Nutella Cinnamon Bun Casserole the next time you are in need of a decadent breakfast dish. 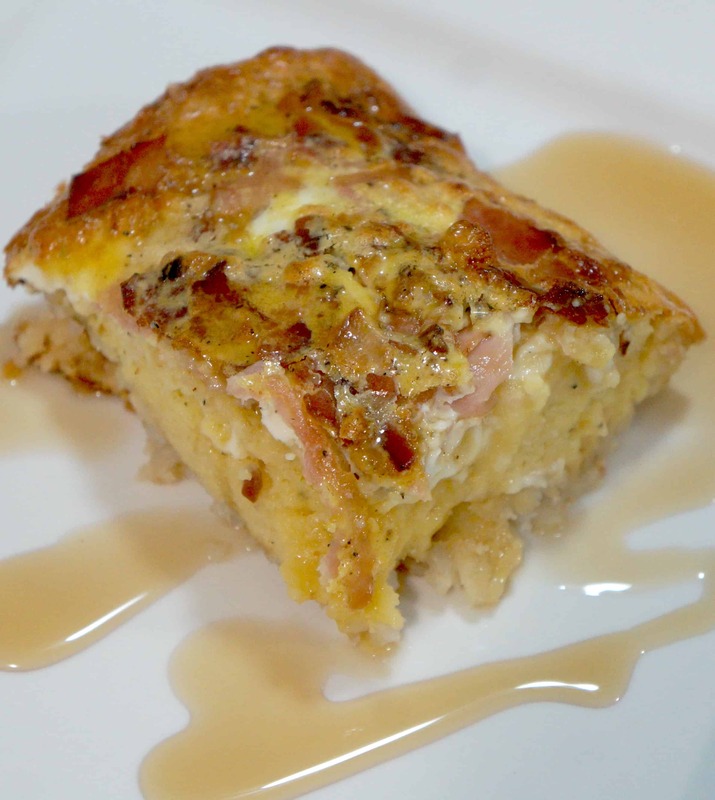 If you are looking for more breakfast ideas check out Monte Cristo Breakfast Casserole, Peanut Butter Cup French Toast, Breakfast Sausage Mac and Cheese and Maple Pancake Breakfast Casserole. 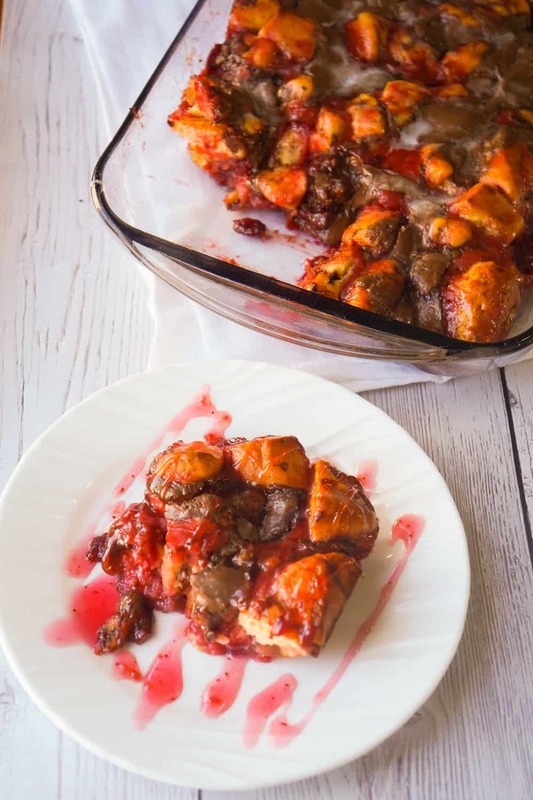 Strawberry Nutella Cinnamon Bun Casserole is an easy breakfast or brunch dish using Pillsbury Cinnamon Rolls. 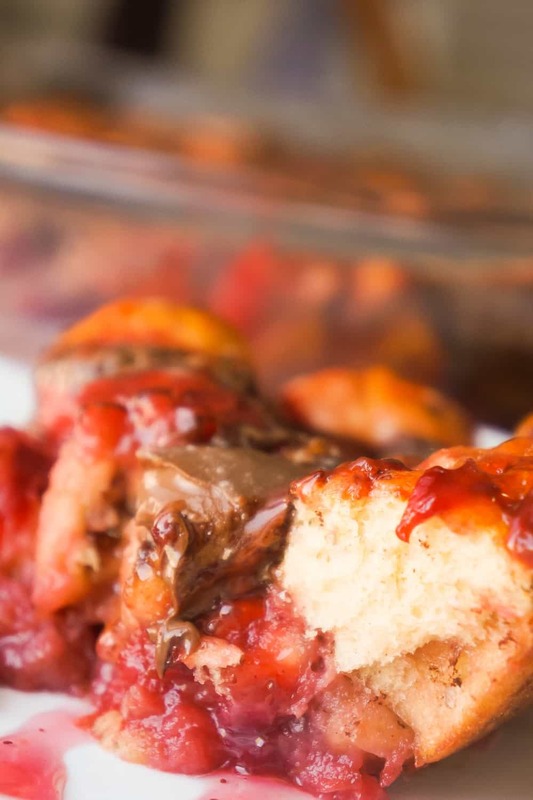 This breakfast casserole loaded with strawberry pie filling and chocolate hazelnut spread is a fun alternative to French toast. Open both packages of cinnamon rolls and cut each roll into 4 pieces. 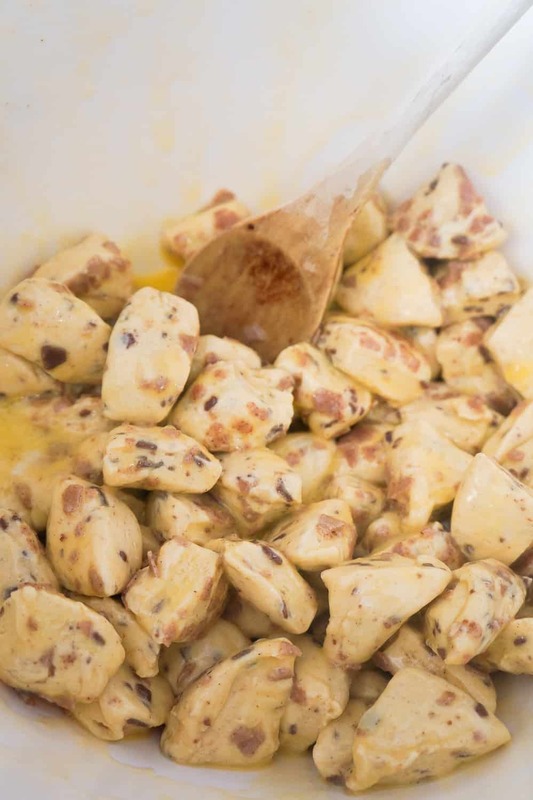 Place all of the cinnamon roll dough pieces into a large mixing bowl. 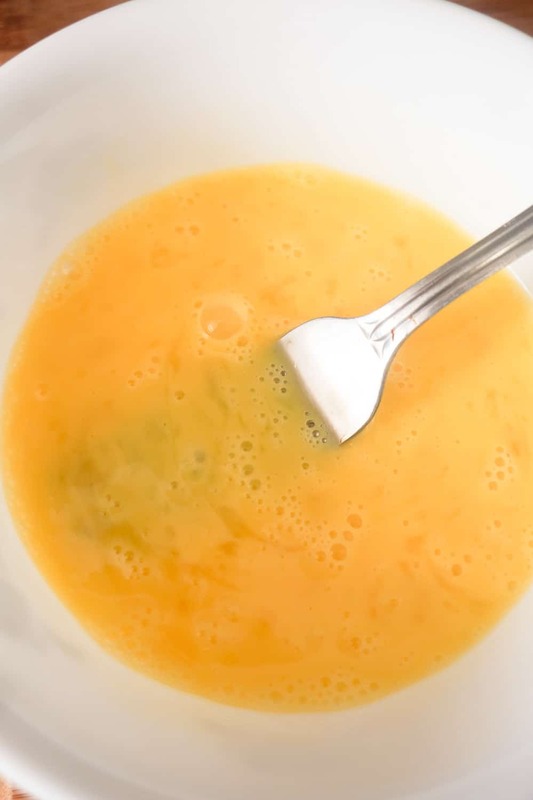 In a small bowl beat together the two eggs using a fork. 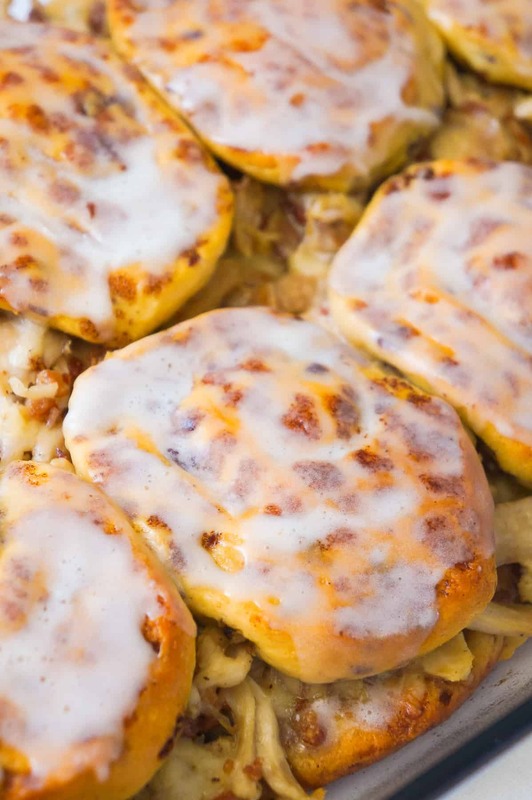 Pour the beaten eggs over the cinnamon roll pieces. 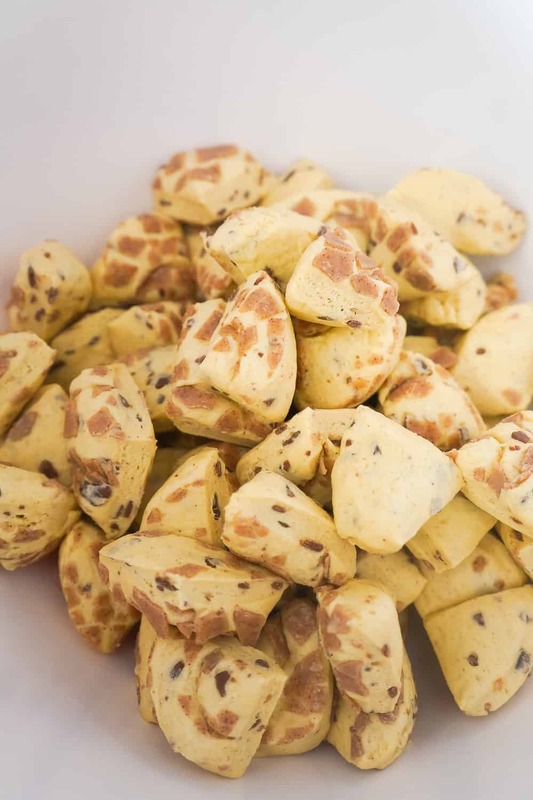 Stir until all of the dough pieces are coated in egg. 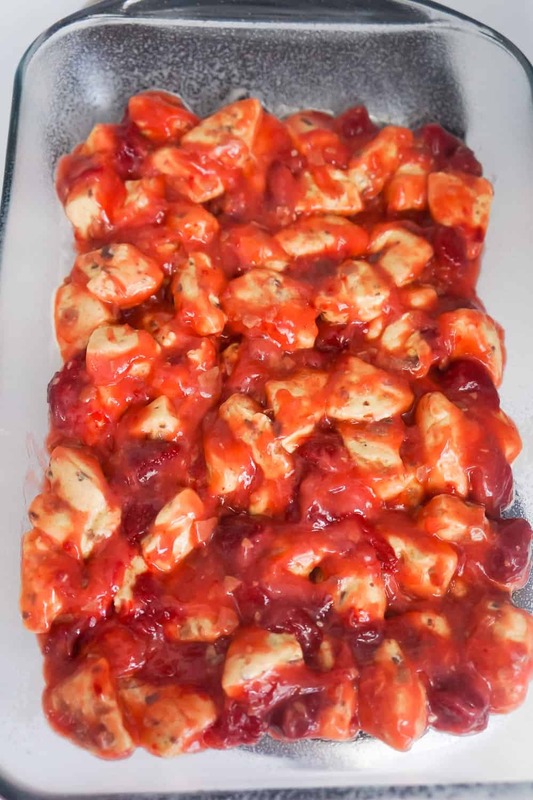 Pour the strawberry pie filling over the dough pieces and stir well again. Dump the mixture into a greased 9 x 13 inch baking dish and spread out evenly. Spoon the Nutella over the mixture, dropping it in large globs spaced out as evenly as possible. Place the casserole in the oven and bake until the cinnamon buns are nicely browned on top. 28- 30 minutes. Spoon the icing from both cinnamon roll packages into a microwave safe dish and microwave on high for 20 seconds. Pour the melted icing over the casserole. 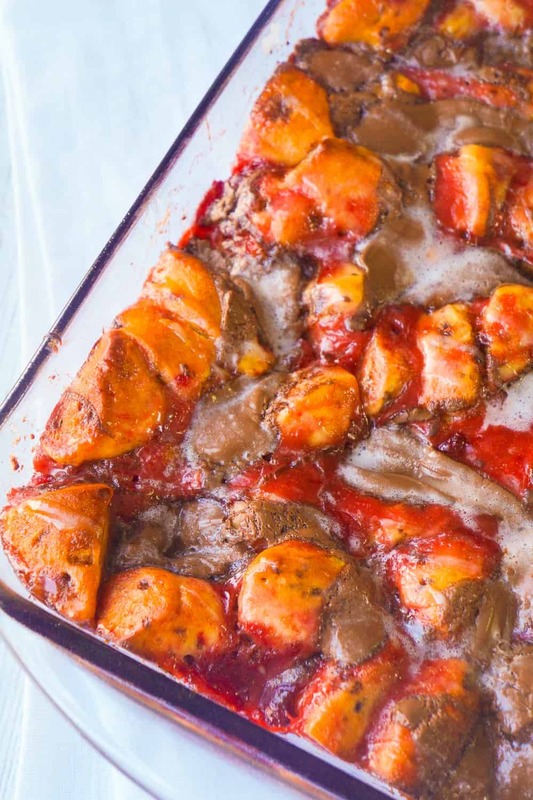 Allow the casserole to cool for a few minutes before slicing. 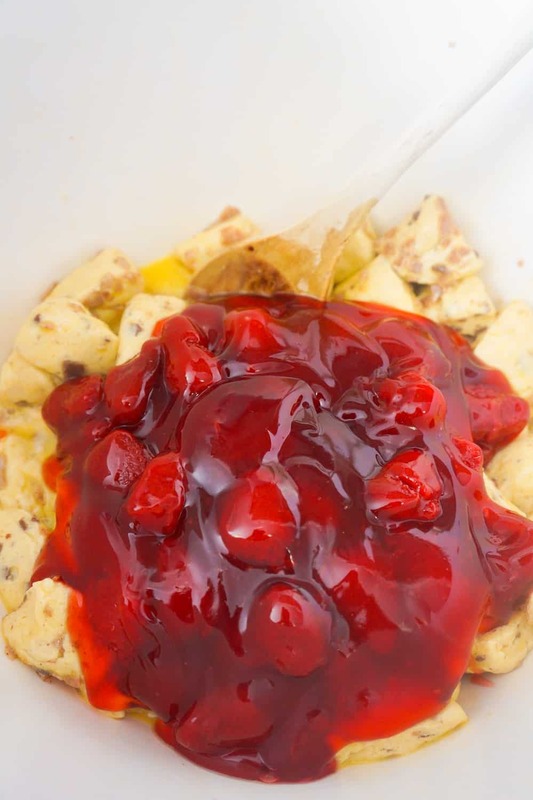 Serve with strawberry syrup and enjoy!